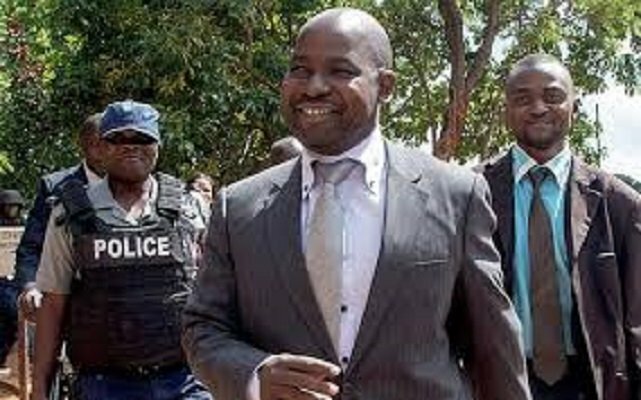 ZIMBABWE – The National Prosecuting Authority has nullified a decision by Prosecutor-General Johannes Tomana to drop charges of possession of weaponry for sabotage against two soldiers accused of trying to petrol-bomb the First Family’s Alpha Omega Dairy farm in Mazowe. Solomon Makumbe (29) and Silas Pfupa (37) appeared before Harare magistrate Mrs Sandra Mupindu charged with possession of weaponry for sabotage after the State reinstated the charges which had been withdrawn before plea. PG Tomana is on bail for criminal abuse of duty as a public officer or alternatively defeating or obstructing the course of justice after he allegedly ordered the release of Makumbe and Pfupa and turned them into witnesses. Pfupa and Makumbe, who are attached to 1 Field Regiment and Zimbabwe Intelligence Corps, respectively, are challenging their placement on remand on the basis that Prosecutor-General Tomana had not authorised their prosecution. Through their lawyers Mr Shingai Mutumbwa, Mrs Gamuchirai Dzitiro and Mr Taurai Mandiki, the duo made an application barring the media from covering proceedings. They argued that they had previously gone to the High Court and had been granted an order for the trial to be held in camera. “The High Court has considered that this matter is so sensitive that it must be held in camera,” Mr Mutumbwa said. But prosecutor Mr Michael Reza opposed the application. Mrs Mupindu concurred with the State and dismissed the application. This was their second bid to have the matter held in camera after they unsuccessfully made the same application before Harare Provincial Magistrate Mr Vakayi Chikwekwe. Makumbe and Pfupa made another application to cancel the summons issued to them to appear in court arguing that the PG had not authorised their prosecution according to Section 34 of the Criminal Law (Codification and Reform Act). Mr Reza tendered a document signed by Mr Tomana’s deputy, Mrs Florence Ziyambi, authorising the prosecution of Makumbe and Pfupa. “Your Worship, Mrs Ziyambi has such delegated authority therefore the application for cancellation of the summons ought to be dismissed since the State has complied with all the statutory requirements for this prosecution,” he said. Mrs Mupindu is expected to rule on the application today. Their alleged accomplice, Owen Kuchata (34), who is the leader of Zimbabwe People’s Front, pleaded guilty to the charges and was jailed nine years. Another suspect, Borman Ngwenya, (30) is on trial.